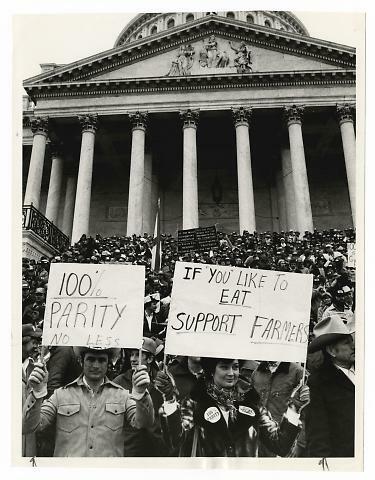 A large crowd of protesting farm workers fills the front steps of the Capitol building in Washington. Many carry signs or banners, some of which read, "100% Parity; no less," and "If you like to eat, support farmers." The corinthian columns and rotunda of the capitol rise up from behind the group of protesters.